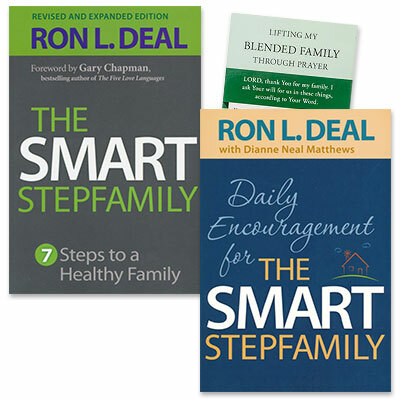 Purchase Smart Stepfamily and Daily Encouragement for the Smart Stepfamily together at the special price and receive free 2 Lifting My Blended Family Through Prayer cards. Got a minute? Then you have time for a daily dose of practical advice, reassurance, and insight for your stepfamily journey. These 365 short and sweet readings will keep your family blending and bonding throughout the year. and plenty of inspirational stories to lift your spirits and keep you stepping in the right direction! Each daily dose of encouragement includes a prayer for your home. Sharing these readings with your spouse and, when appropriate, your kids will spark valuable conversations that will strengthen your family and bring you closer together! This easy-to-use prayer card equips you to bring your blended family to the God who sees, through prayers full of God’s own words from Scripture: prayers of character, purpose, and hope.